Brought to you by the Toronto Dowsers! 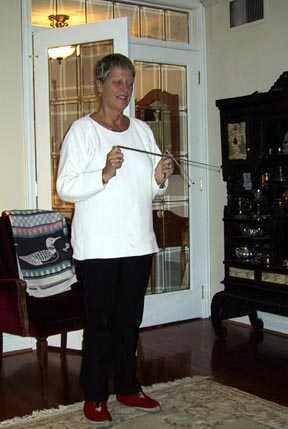 One of the largest dowsing groups in North America! Annabelle Garland is a member of the Toronto Dowsers. 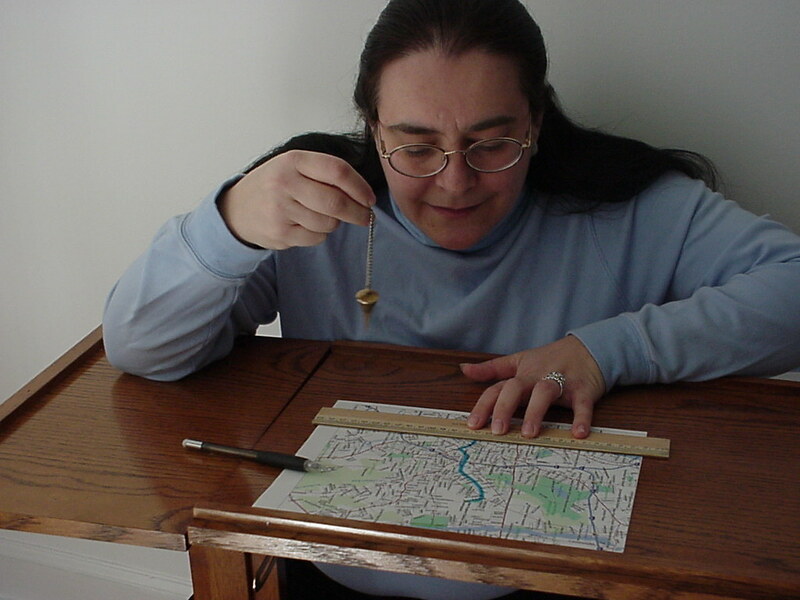 She is shown here, dowsing different earth energies in her home. 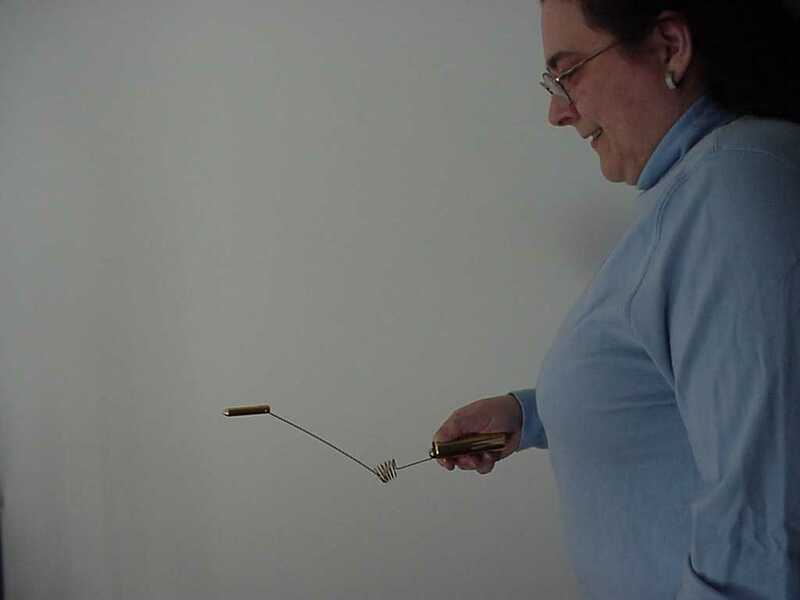 At this point, Annabelle was dowsing to determine the location of an Aquastat. If you know where an Aquastat is, and you spend some time standing over it (15 minutes), this can invigorate you. 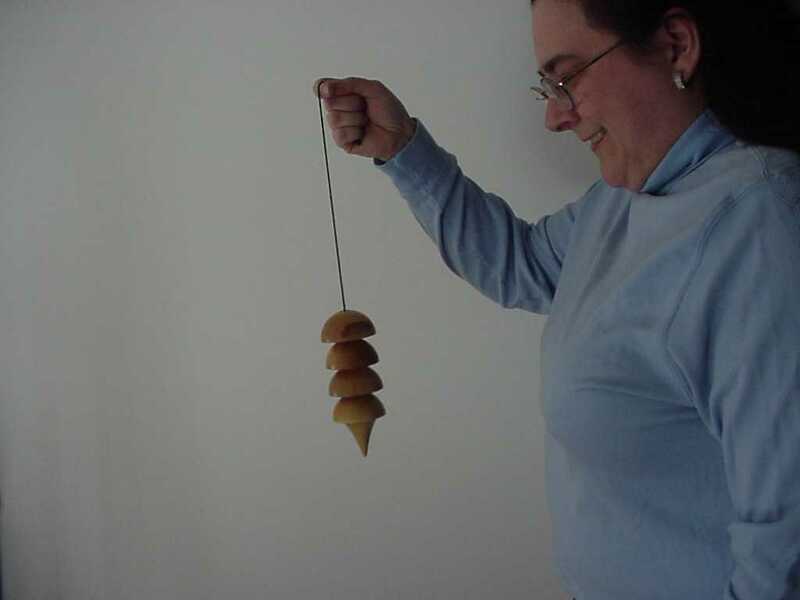 Susan McNeill lives in Boston. 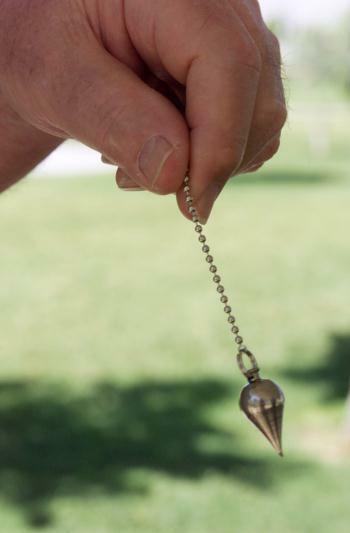 Walt Woods is a Past President of the American Society of Dowsers, and the author of "Letter To Robin", a mini course in Pendulum Dowsing. 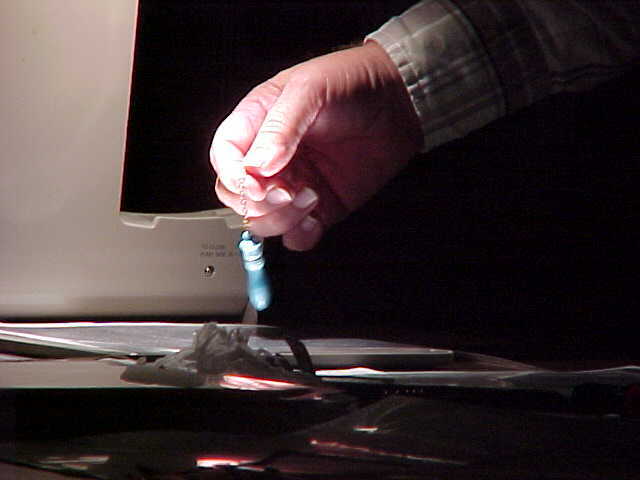 Joe Alexander is the Secretary/Treasurer of the Desert Dowsers chapter in Las Vegas, Nevada.